Is there Profit in selling Wine by the Glass? According to the latest sales trends, in the UK, we are drinking less wine. However, while volume sales may be down, wine is still consumed by over 60% of the adult population. And we are choosing higher quality brands. This is a trend that has been seen over the past few years as consumers become more discerning about their choice of grape. Sure, we still love French wine, despite the surge in sales of Prosecco, but it is the Antipodean labels that are showing the biggest increase. It seems that we can’t get enough of the fine wines of Australia and New Zealand. Also, recent research undertaken by Accolades Wines* found that new wine drinkers aged between 18 – 24yrs and females (77%), in particular, are a major growth area for premium priced wine. They discovered that this age group, greatly influenced by their peers on social media, are likely to try different wines while at the other end of the market, over 55’s and mostly male (77%) tend to stick with ‘what they know’ and have a reluctance to experiment. Despite the reduction in wine consumption, with more than a fifth of UK adults drinking 250ml or less of wine per occasion, the average spend is increasing. However, much of this increased spending has been absorbed by the rise in duty of over 50% during the past 10 years. This means that the hospitality industry is continually looking at ways of maintaining their margin while at the same time remaining competitive. With customers now actively seeking out a high-quality hospitality experience and willing to pay a premium price for that, it makes commercial sense for bars and restaurants to offer their clients a service with high perceived value. So, with an increase in the more discerning wine drinker, who prefers to savour their grape rather than gulp, coupled with increasing health warnings and UK drink driving laws, there is little wonder that serving wine by the glass is becoming increasingly popular. However, many outlets are still reluctant to offer this service, citing wastage and time consumption as reasons not to. And yet, ordering wine by the glass has become big business. And it’s become even easier thanks to the availability of wine serving equipment created especially for the 21st Century consumer. 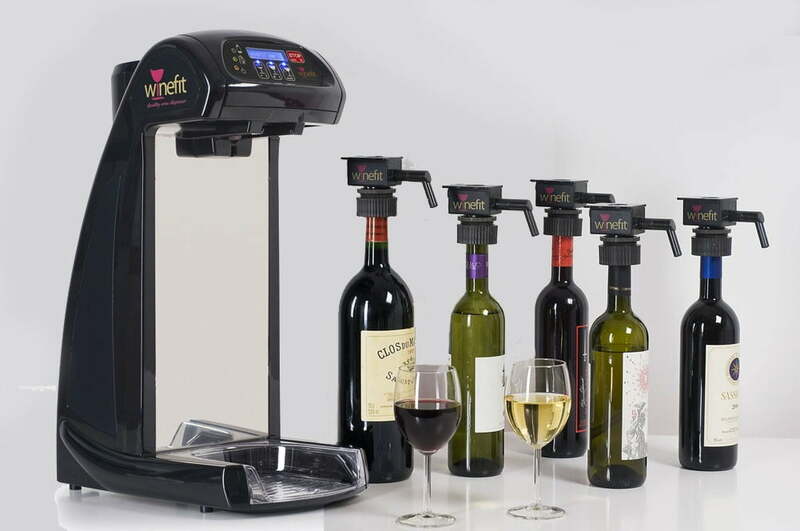 One such range, exclusively distributed by us in the UK, is from Italian manufacturer, Winefit. They have created a unique and revolutionary system for serving wine by the glass that ensures a consistent quality and no wastage. With the Winefit system, bars and restaurants can now offer a full range of wine, from the popular to the vintage, that greatly enhances the customer experience while at the same time rotating their stock more quickly. offers an unlimited selection of wine by the glass. The Winefit system is a full range of complementary products designed to increase consumption, reduce wastage, and manage stock and product selection. All leading to increased profit. 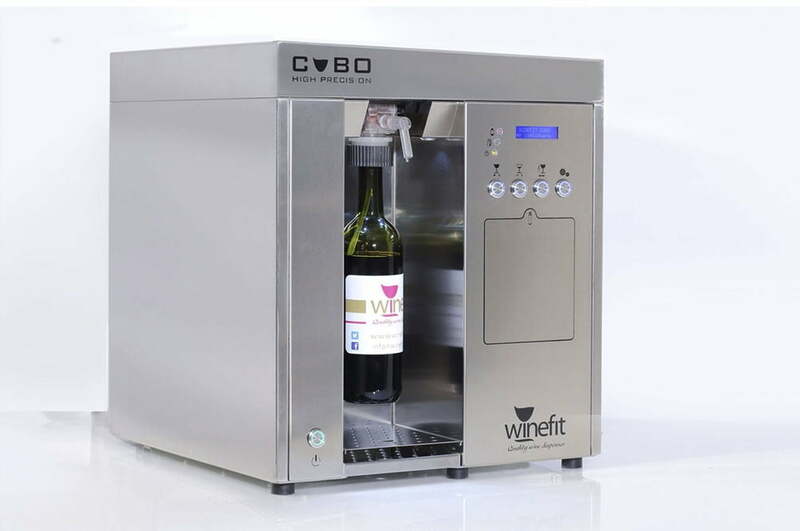 To complement the range, we offer the ‘Winefit Cubo’ – a stainless steel wine dispenser that not only looks the part but acts the part with its mix of Italian beauty and high precision technology. It also features a unique display that allows the user to choose different quantities and with its revolutionary cap technology, just one device can open an unlimited number of bottles. In fact, serving a glass of wine was never so stylish. As we said earlier, wine drinkers are increasingly becoming more discerning and are choosing venues that reflect their social media status – especially with the popularity of posting photos on Instagram. Visuals now play a major part in the ‘going out’ experience. 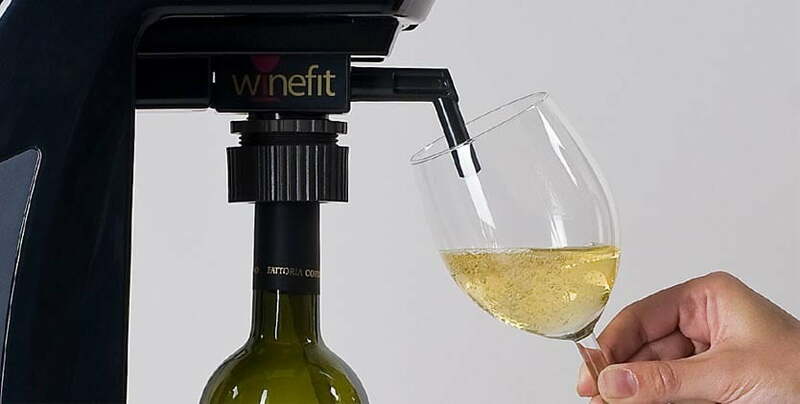 This is reflected in the stylish look of all our Winefit equipment. 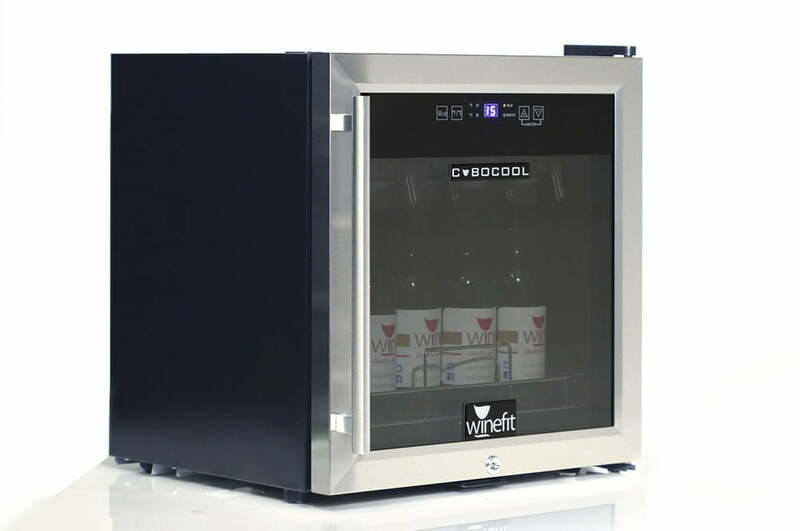 Our CuboCool wine cooling fridge is a perfect example of this. 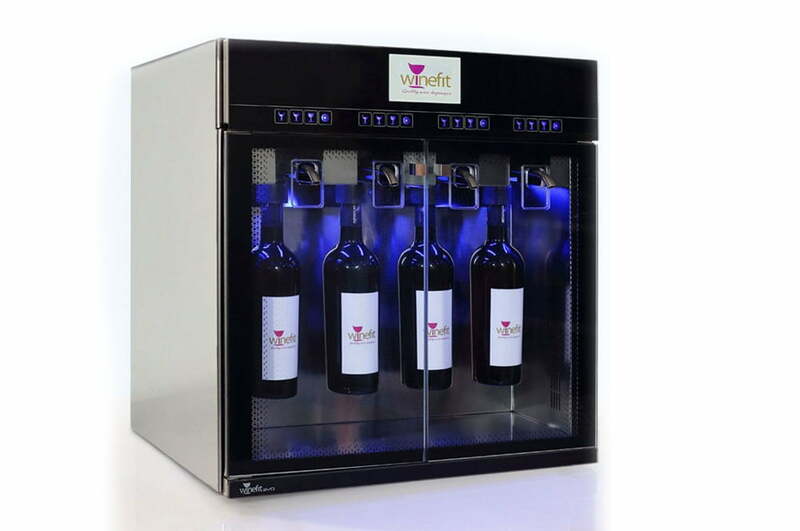 It not only ensures wine is kept at an optimum temperature but is designed for ‘public display’ with its silent operation and attractive blue LED lighting. So, if you consider selling wine by the glass is not a profit earner. Think again. With the ‘right equipment’ and a sales strategy that includes competitive pricing, wide choice and reliable stock, selling ‘wine by the glass’ can not only add to your bottom line but prove to be talking point about your bar or restaurant, especially on social media – leading to even more sales. *2018 UK Wine Report. Category development & Insight. Produced by Accolade Wines / Wine Nation.